Competing with one of your biggest idols seems not anymore a competition. Like in the case of KZ Tandingan who topped the fifth episode of the Chinese singing contest Singer 2018, surpassing seven different artists including Jessie J, it seems that the surprise moment of meeting one or her biggest inspirations matters more. It was the very first time the Soul Supreme met the British pop star. 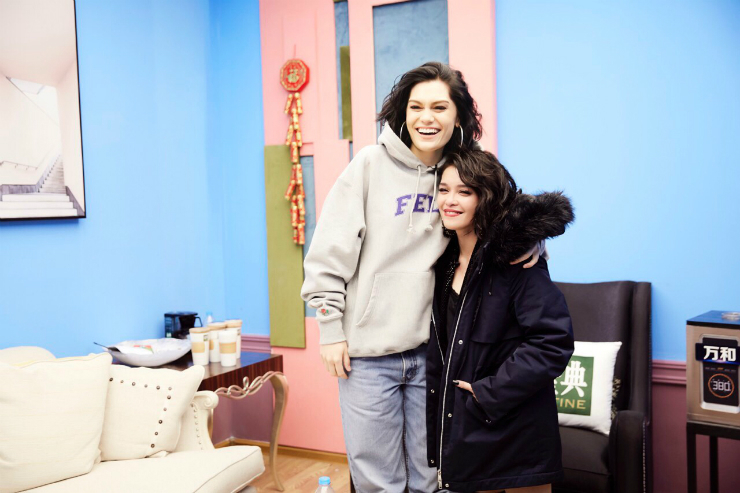 “When Jessie J went to the restroom beside the dressing room of KZ, the production team captured KZ’s surprised reaction and also their touching conversation afterwards,” he shared. “That moment which became part of the opening scenes of 5th episode became very endearing to the Chinese market,” he added. In fact, that moment made KZ and Jessie J become the 9th most searched in Weibo (Chinese counterpart of Twitter) upon the episode’s broadcast. Meanwhile, Vadillo also shared that KZ supposed to sing a different song. “That personal decision put KZ in the #1 spot on her debut performance in the show,” he added. What can you say about the KZ-Jessie J moment? Comment below!